Carnegie Corporation of New York has chosen Independence Day, July 4th, to honor distinguished immigrants for their contributions to advancing American society. This year 41 honorees from more than two dozen countries are named as leaders in a range of fields. These naturalized citizens have changed the face of America. Gholam A. Peyman, MD, a faculty member at the University of Arizona College of Medicine – Phoenix, was named today by President Obama as one of the 12 eminent researcher recipients of the National Medal of Technology and Innovation. Dr. Peyman is also a professor of Optical Sciences and Engineering at the UA. Eleven extraordinary inventors were also named recipients of the National Medal of Technology and Innovation. This award and the National Medal of Science designations are the highest honors bestowed by the federal government upon scientists, engineers, and inventors. The recipients will receive their awards at a White House ceremony in early 2013. Dr. Peyman is an ophthalmologist and vitreoretinal surgeon who has more than 135 patents. His most widely-known invention is LASIK eye surgery, a vision correction procedure designed to allow people to see clearly without glasses. Dr. Peyman’s inventions cover a broad range of novel medical devices, intra-ocular drug delivery, surgical techniques, laser and optical instruments, as well as new methods of diagnosis and treatment. 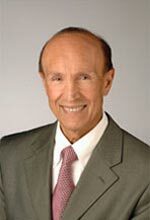 He has won numerous honors and awards, including being inducted into the Hall of Fame of Ophthalmology. “This is a great national honor for the tremendous contribution Dr. Peyman has made to medicine, science and technology” said Dr. Stuart D. Flynn, dean of the UA College of Medicine – Phoenix. “We are so proud of Dr. Peyman, and our faculty and students are grateful for the opportunity to have this amazing physician as part of our College.” In addition to his faculty appointments, Dr. Peyman’s practices at Arizona Retinal Specialists in Sun City West. Dr Peyman is a member of the editorial board of nine distinguished ophthalmology journals. His awards include the Lifetime Achievement Award of the American Academy of Ophthalmology, the first translational research award from the Association for Research in Vision and Ophthalmology and inclusion in the American Society of Cataract and Refractive Surgery Hall of Fame. Dr Peyman conducted pioneering studies in intraocular drug delivery and refractive and vitreoretinal surgery. He established the techniques of eye-wall resection and endoresection for intraocular tumors, and was the first to perform a retinochoroidal biopsy and transplant retinal pigment epithelial cells for age-related macular degeneration. He is also a pioneer in laser and photodynamic therapy. He developed the first pressure-controlled valve that became known as the Krupin valve for glaucoma surgery, and developed the first telescopic IOL for patients with macular disease. He was also among the first to implant an artificial silicone retina in patients with retinitis pigmentosa. Affiliations listed are the awardees’ most recently identified employers; some awardees are now retired.